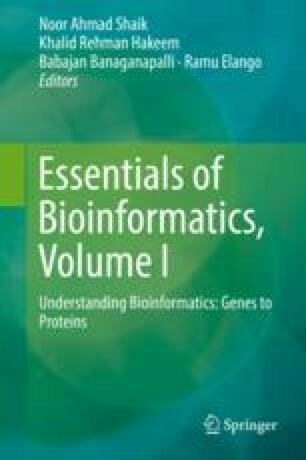 This chapter aims to introduce to the specifics of protein structure annotations and their fundamental position in structural bioinformatics, bioinformatics in general. Proteins are profoundly characterised by their structure in every aspect of their functioning and, while over the last decades there has been a close to exponential growth of known protein sequences, the growth of known protein structures has been closer to linear because of the high complexity and cost of determining them. Thus, protein structure predictors are among the most thoroughly assessed tools in bioinformatics (in venues such as CASP or CAMEO) because they allow the structural study of proteins on a large scale. This chapter presents the key types of protein structure annotation and the methods and algorithms for predicting them, with the aim to give both a historical perspective on their development and a snapshot of their current state of the art. From one-dimensional protein annotations – i.e. secondary structure, solvent accessibility and torsion angles – to more complex and informative two-dimensional protein abstractions, i.e. contact maps, both mature and currently developing methods for protein structure annotations are introduced. The aim of this overview is to facilitate the adoption and development of state-of-the-art protein structural predictors. Particular attention is given to some of the best performing and freely available web servers and standalone programmes to predict protein structure annotations.